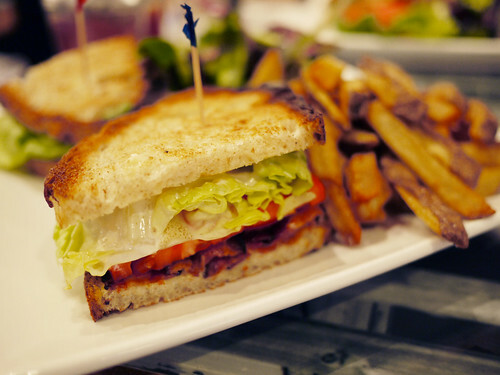 In brief: A pretty good BLT, the fries are handcut and good. Suburban interior. More: I'm pretty sure we walked into a space portal that opens up at Green Square Tavern, there was something about the space that was strangely urban, but not NYC urban, some other big city urban. Maybe we could have been in Chicago or Boston or even Philadelphia. You should go try it and let us know if you experience the same warping of time and space. Oh and by the way, the BLT is pretty good and the hand cut fries are worth eating a plateful of. A good lunch at Green Square Tavern,we could find yummy food there.